I didn’t, until one morning I had stumbled across a random competition on a social media site. The title was WIN THIS DESIGNER WRAP! What the heck is a wrap? Now, I am not one for big ticket ‘fancy’ designer items. Why would one single wrap be so great that it already had 2390 shares? Well let me tell you why. I have a favourite colour, it is purple. The wrap was all different shades of purple and I was in love at first sight! I also have a baby. There was a beautiful little baby snuggled up against a happy mum, in a PURPLE wrap. Love at first sight! I had an unsettled baby, the baby in the purple wrap was SETTLED and asleep! The happy mum in the photo had not one, but two free hands!!! Now I really, REALLY wanted to know, what the heck is a wrap? So I discovered, a wrap is a length of fabric (usually between 2metres and 6metres), which is wrapped around a baby and the wearer and then tied. There are many different ways to wrap including wrapping on the front or back, the baby can be newborn all the way up to toddler age (or older if you so wish). Had I not seen this random competition I may have never discovered the beautiful and passionate community of baby wearers. I had noticed baby carriers around in the streets and shops. I just thought they must be another one of those big ticket baby items that everyone MUST HAVE, that I don’t have. Straight away I was on the hunt for a group of people that could help me learn about the awesomeness of a sleeping baby in a majestic and beautiful PURPLE wrap. I found it! A local baby wearing group was having meets on the Mornington Peninsula and I couldn’t have been more thrilled. So along to the meet I went. I was immediately welcomed by a lovely group of women willing to help me discover all things baby wearing and more. We live away from my family who are all in Queensland and I hadn’t yet found my place as a mum with a group of friends in my local area. I felt it was such a perfect coincidence that I had joined a group of supportive people that were willing to share their stories and experience with me and my son. From there, I discovered numerous links from the wonderful chit-chats on the group page, the internet and blogs all relating to baby wearing. I entered loads of competitions from that point on and the first competition I won was a ticket to the Australian Baby Wearing Conference in Melbourne 2013. WOW! How blessed was I to be going along to the first event of its kind in Australia. The line up was impressive to say the least, there were professional baby wearers, D.I.Y. experts, breastfeeding advocates and to top it all off the conference also had an a huge Expo full of different brands of carriers, suppliers, and all things baby like teething jewels, the Australian Breastfeeding Association was there and even a baby wearing fitness class and baby wearing fashion parade. Moving on from how baby wearing found me, I went along to the baby wearing fitness demo class there and it was amazing! My baby was asleep in less than 10minutes into the Kangatraining workout and I was feeling so great when I finished the full hour class, with no tears from my little man. It was time to buy a wrap! Time to get to some Kangatraining classes and time to be a baby wearer! If you saw me today you would never have guessed that I had randomly stumbled across baby wearing on an internet competition. I baby wear at least once a day, every time I got o the beach or the shops. I have recently completed instructor training and now run my own Kangatraining business in my local area, the Mornington Peninsula and to top it all off, I now own a WRAP!! My name is Danica and Ellard is my happy 8 month old son. We call Frankston home and have been loving the Mornington Peninsula since our move here in early 2013. I am a Kangatraining instructor for the Mornington Peninsula in Victoria, a musician, mother and domestic goddess (in my dreams). KANGATRAINING is a danced based choreographed workout that is perfect for mums to socialise, exercise without the need to find a babysitter and enjoy all of the health benefits without going to the gym. The classes run for an hour, we start off with babies joining in on core strength building exercises with mum. After the floor work, babies are placed snug into a baby carrier and we begin the best part of the workout - choreography! Finishing up with stretches and pelvic floor exercises to get your body back feeling good post workout and in the long run, fit and healthy post birth. I run classes in Frankston, at Aveta Maternity on Mondays at 1030am. Mornington, at Symphisis Yoga on Wednesdays at 11am. And Frankston South, at the Frankston South Recreation Centre on Fridays at 1130am. Claudia S OMG we need this kind of thing in Sydney! I never even thought about exercising with my baby bjorn! Megan R Your right Claudia, I have found it impossible to find any excercise classes where I can take my baby this side of sydney! Megan R Claudia I just did a search and there is kangatraining in sydney, I'm so excited! 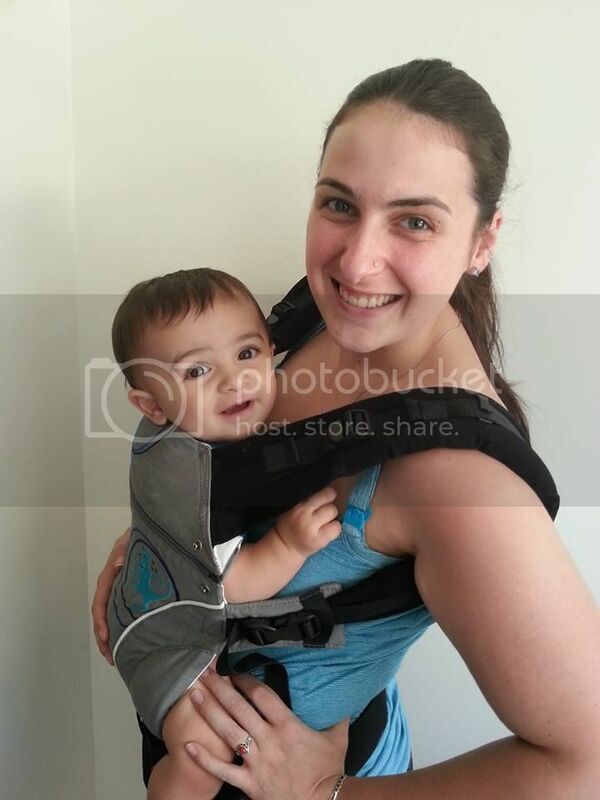 The Bjorn carriers aren't suitable for this type of activity as we require carriers that offer full knee to knee support, we always wear the babies facing inwards and follow the TICKS safe baby wearing guidelines. All of the trainers hire out Manduca carriers similar to the one shown above, so if/when you attend you're more than welcome to try them out and Kanga your heart out. They provide a natural sitting position for newborns up to 20kgs and fit almost any body type comfortably. I hope you can get along to a class and check it out!